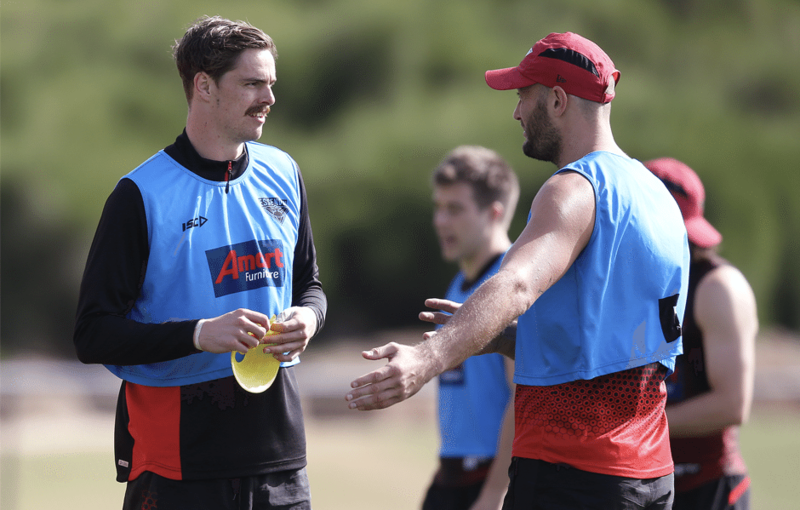 Learning from the last time he returned from a year without an AFL game? Learning from putting him under too much strain and how to manage his body. I have seen an unconfirmed report that you were not present at the MCG on Saturday. Should we make anything of this ? 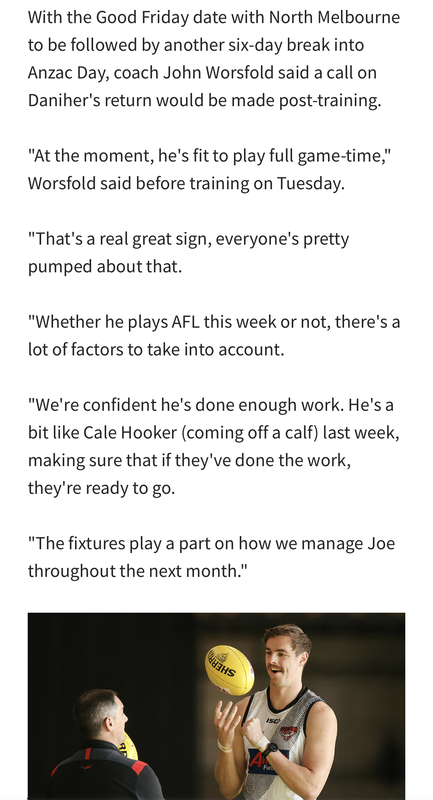 They’re probably just saying it because Woosha said in his press conference that Joe will either play AFL or VFL football this week. They chose whatever version they think is a better story. Love the idea of playing Joe 30% in the ruck. He looks so good and mobile when he’s in there and he just seems to play better when he’s more involved in general play. Cannot wait to have him back and firing. Seems extreme. Even if it’s career ending, surely he can do other things with his life? Whilst I can’t wait for Joe to be back, I haven’t missed the sick feeling I get in my stomach every time he has a set shot. Amazing how we are happy to be Joey free and not rush things. You don’t want what has happened to Joey and the club to happen, but it has been beneficial in making us adapt to a Joey-free side. 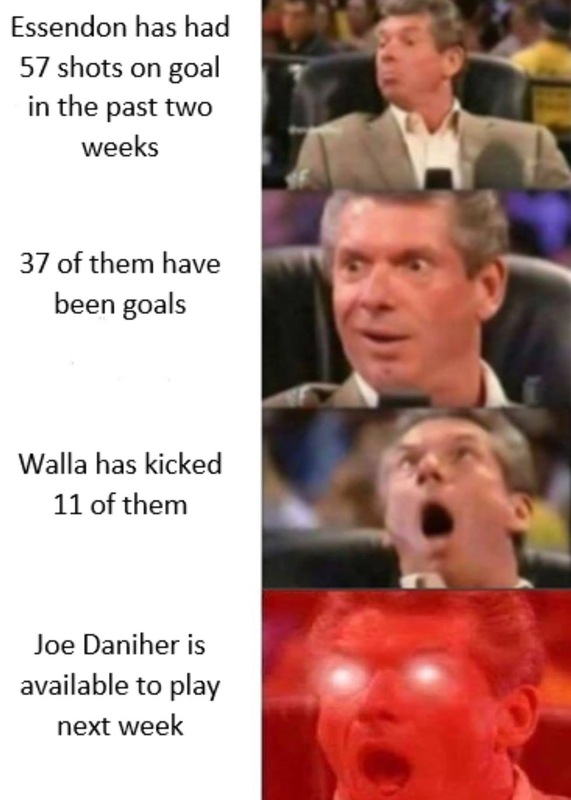 joe: hold my beer, i’m back! ?? Why do you want to him trade to farkcarlton?? Play him in the 2’s, get him on an actual outdoors oval, chain off, rucking and clunking. Marvel is poor prep for Anzac Day and Nth defenders are dirty ■■■■■. To me it’s almost like it’s better he doesn’t play seniors until the Cats game. 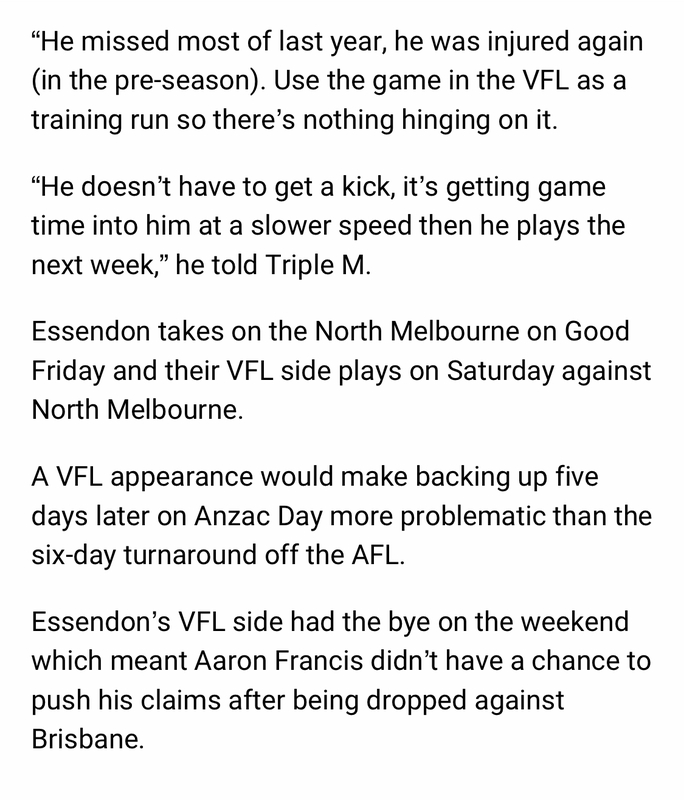 If plays VFL then only a 5 day break into Anzac Day. But if it is just a half wouldn’t be so bad. 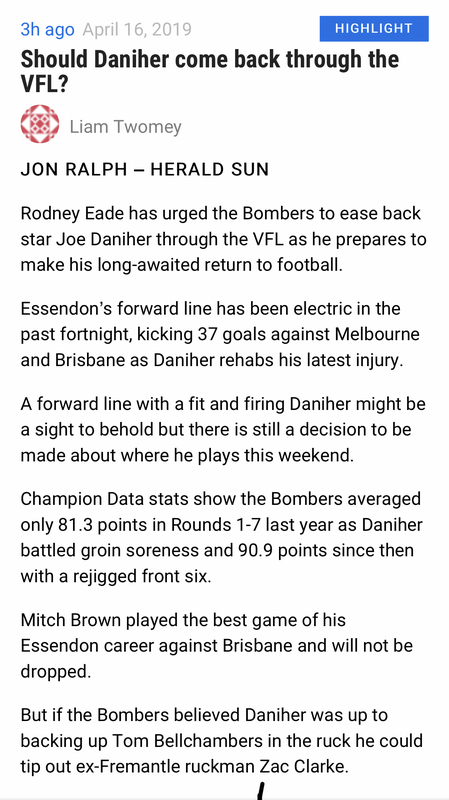 Is a half of VFL footy enough preparation given his layoff for what is going to be a very intense Anzac Day though? 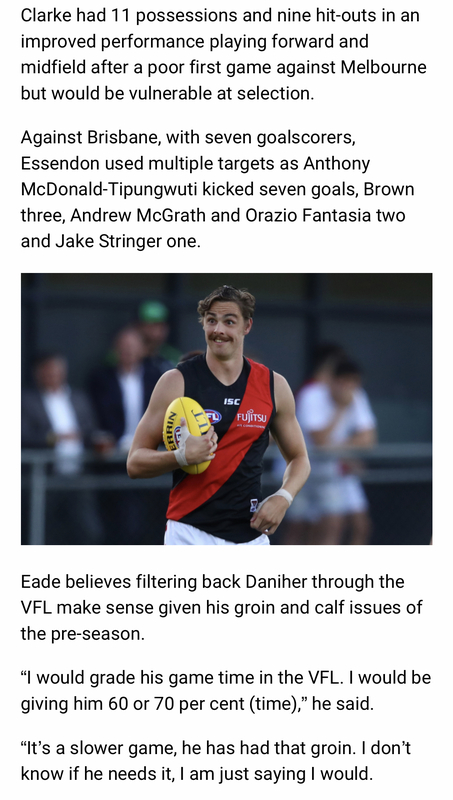 Half in VFL this week. Full game VFL next. And then ready to roll vs Cats. That said he’s a match winner (if fit and in form) so if he was able to perform at a high level Anzac Day it would help us a lot.